Hummingbirds are on their way! It’s time to get your feeders up! Follow their progress at Journey North or Hummingbird Central’s 2019 Hummingbird Migration Map. Make sure your feeders are full! Read The Backyard Naturalist’s Checklist to find out how to attract and support these amazing, tiny travelers. Make your own Hummingbird nectar. It’s easy! See the recipe below. Clean feeders and refresh nectar every few days, or sooner if not crystal clear. During hot weather, this should be done every other day generally. Are your Hummingbird feeders up to the job? 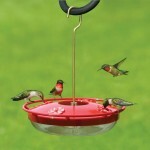 The Backyard Naturalist is fully stocked with all the feeders, poles, nectars and accessories you could possibly need! Make it easier for a Hummingbird to line her nest. 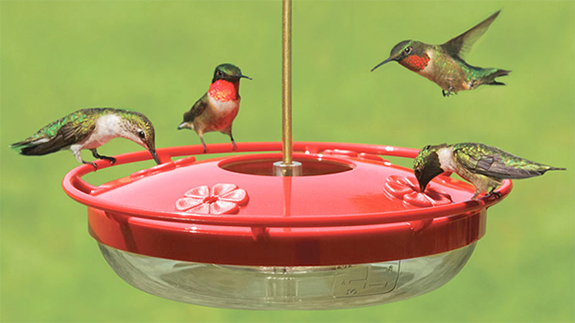 In addition to nectar feeders, make your yard even more appealing to nesting Hummingbirds with Hummingbird Nesting Helper. Plant your garden with flowers that Hummingbirds love! We recommend and stock seeds for flowers that attract Hummingbirds, and also Bees, Butterflies and Songbirds. These are all ways to increase your Hummingbird viewing opportunities while supporting these amazing birds! Make Your Own Hummingbird Nectar! At this point, you’ll realize how easy it is to make your own nectar (And kick yourself for not doing it sooner)!!! Make a quart or more of nectar at a time to keep in your fridge. It’ll keep 12-14 days. Freshen the nectar in your feeder every few days or more often if it’s not crystal clear. During summer heat, that may mean almost daily. 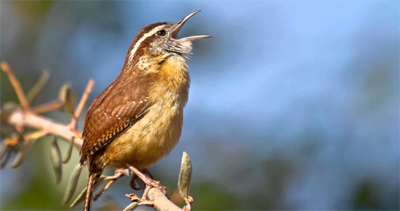 Watching Hummingbirds At Your Feeders? Here’s Some Amazing Stuff to Ponder. Ruby-throated Hummingbirds prefer to feed on red or orange flowers. Like many birds, they have good color vision and can see into the ultraviolet spectrum, which humans can’t see. However, the Ruby-throated Hummingbird does not show a strong preference for any particular color of feeder. Instead, it prefers specific feeder locations.